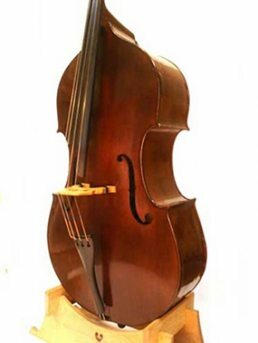 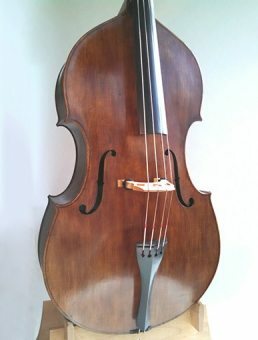 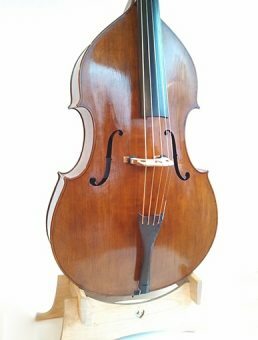 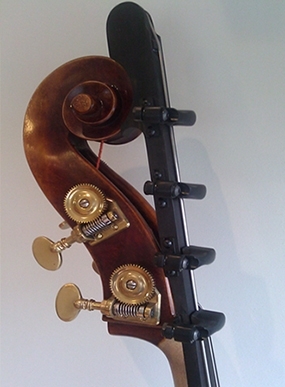 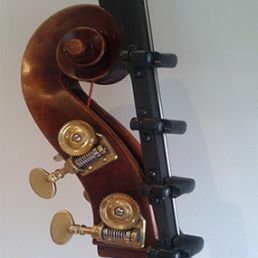 English doublebass builder Martin Penning and I built this instrument as a collaborative project. 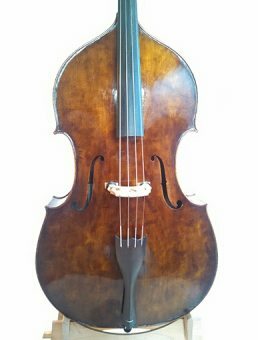 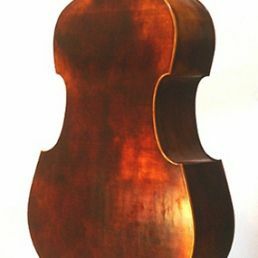 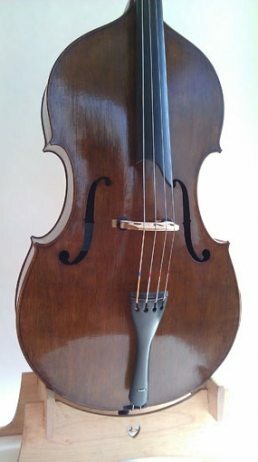 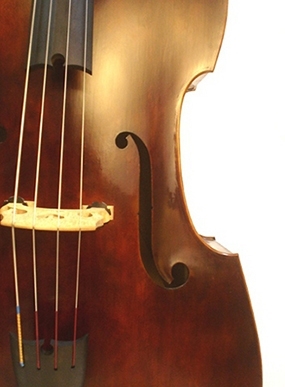 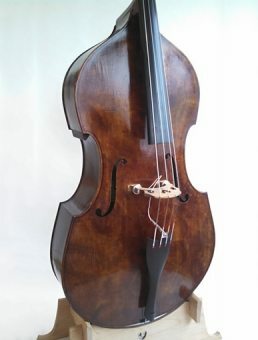 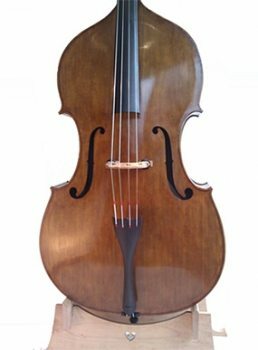 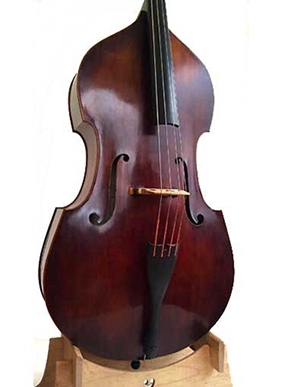 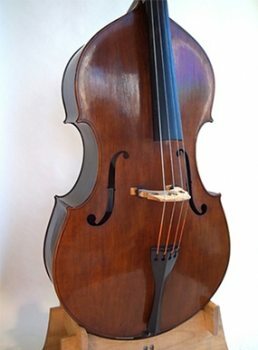 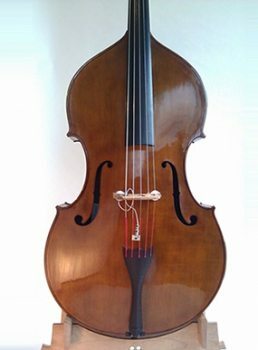 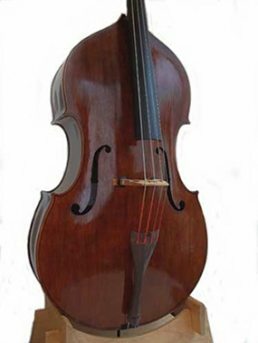 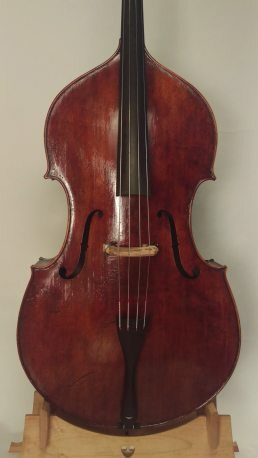 Same outline as my Walnut 7/8 model, but with f-holes copied from a Gasparo Da Salo bass. 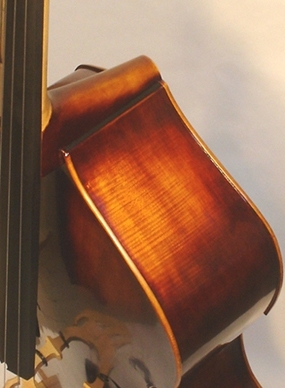 Flamed English sycamore and fine-grain American Sitka spruce. 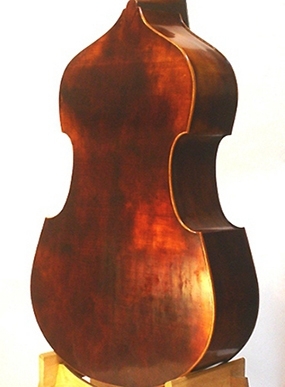 Lightly shaded varnish ranging from golden amber to deep red-brown. 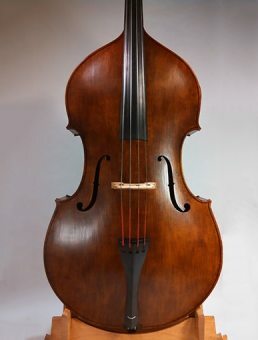 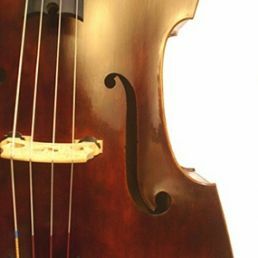 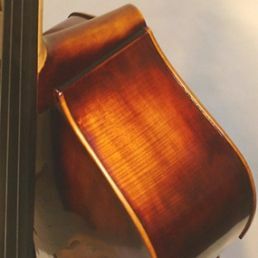 Remarked by musicians of the Dallas, Chicago, and Minneapolis symphonies as being very even, clear, and a bass that would blend easily with a section.